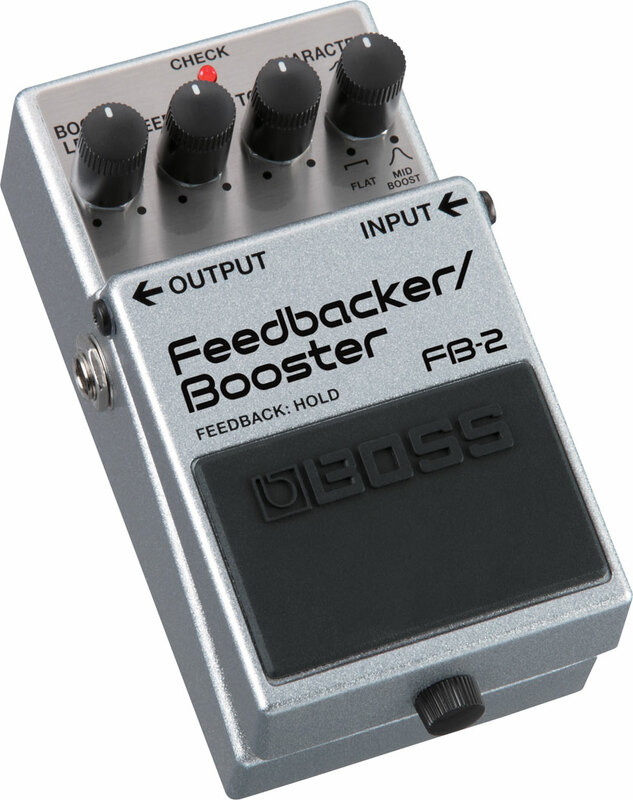 The Boss FB-2 Feedbacker/Booster (current price in Finland: 105 €) is a specialised tool to help you achieve musical feedback at moderate volume levels. Additionally this pedal also functions as a powerful level booster. 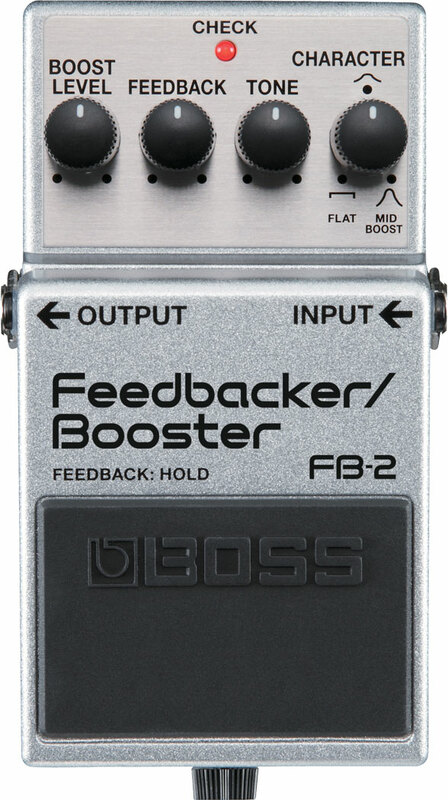 The FB-2 is a typical Boss-pedal, from the classic sturdy cast-metal casing to its four control knobs, which offer separate level controls for the booster and the feedback sections, as well as an overall tone control and the booster’s Character knob. The booster is turned on and off by stepping shortly onto the footswitch. For feedback you need to hold the switch down continuously.